This article examines three historic musical compositions for dance performance. Two of them are instrumental pieces in the Arabic / Ottoman tarab musical style, and the third is the famous song "Lamma Bada Yatathanna". These are not only exquisite classics of dance music, but also beautiful tarab music. I have included links to show how dancers performed to them and portrayed the tarab inherent in the music. "Dakhlet el-Awalem" translates into English as "Entrance of the Dancers", also referred to as the "Learned Ladies". The composer is unknown, and the piece is one of the most sophisticated dance songs. The combination of rhythmic mode, rhythm, melodic movements and melodies is designed to be jolly, flirtatious, and dance-oriented. The dance is also known as "Raqset Badia Masabni". Taheyya Carioca danced to it on many occasions. 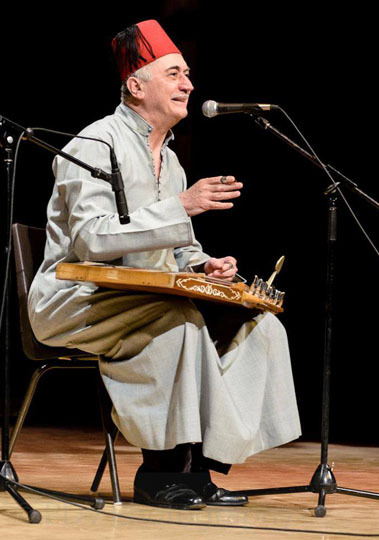 I have recorded it on my CD The Art of the Early Egyptian Qanun, Volume 1, Track 7, performing it on an antique qanun without levers (orabs). Click here to watch a video clip in which Bruna Milani performs as I play live for her. "Raqset el-Hawanem" is translated into English as "Dance of the Noble Ladies". The composer is unknown, and the dance is probably 150 years old. As the previous one, it is also in Huzam mode but contains less rhythmic variety. (This may have been the style, and it makes it harder to dance to in our modern era.) The combination of rhythmic mode, rhythm, melodic movements and melodies is designed to be jolly, flirtatious, and dance-oriented. I have recorded this on my CD The Art of the Early Egyptian Qanun, Volume 1, Track 2, performing it with an antique qanun without levers (orabs). Click here to watch a video clip in which Nisaa did an admirable job reconstructing the dance and the costume that would have been contemporaneous with this song. Click here to watch a video clip in which I play the music live for Carol Louro. "Lamma Bada Yatathanna" translates to English as "When My Beloved Appeared Walking with a Swinging Gait". It is a love song. It is flirtatious and sad, as the lover seeks desperately the love and attention of his / her beloved. 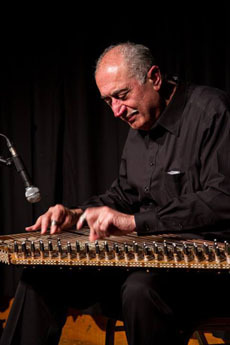 The composer of the musical score is Selim el-Masri, and the song is in Nahawand (minor) mode played in sama’i rhythm (10/8). I have recorded it on my CD The Art of the Early Egyptian Qanun, Volume 2, Track 5 using an antique qanun without levers (orabs). This recording begins with a dulab (prelude) and a short taqsim before beginning the song. Click on this link to watch a video clip in which Iana Komarnytska uses my recording, beautifully portraying the emotions stemming from the tarab. Click on this link to watch a video clip in which I play the song live for Nesrine as she performs.